A pioneering test has revealed a link between autism and damage to proteins in blood plasma that could lead to earlier diagnosis of the condition, scientists say. 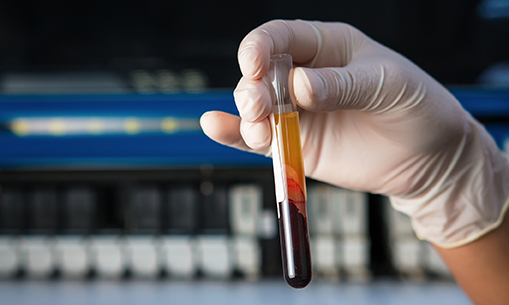 An international team including researchers from the University of Warwick and the University of Bologna in Italy developed urine and blood tests to detect signs of autism spectrum conditions (ASC) in children. A total of 38 children from Bologna with ASC were studied alongside a control group of 31 children who did not have ASC. Blood and urine samples were taken and analysed using artificial intelligence algorithms to develop a mathematical equation that could distinguish between ASC and the controls. The team found links between oxidation and glycation – processes where oxygen particles and sugar molecules spontaneously modify proteins – and ASC. Genetic causes have been found in 30–35% of cases of ASC and the remaining 65–70% of cases are thought to be caused by a combination of environmental factors, multiple mutations and rare genetic variants. This could help improve the diagnosis of ASC and point to new causes of it, the researcher said.